Since last Saturday, together we have raised more than $42,000 for this bold legal action — quickly surpassing the first milestone of $30,000 and setting us on a path to reaching $60,000 by April 15! 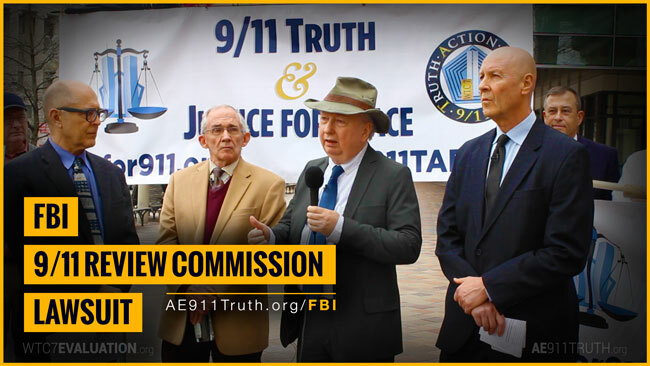 If you haven’t chipped in yet and you want to see the FBI have to report the evidence of the World Trade Center’s explosive demolition to Congress and the American people, please take a moment to donate today. By providing the funds needed to cover the legal fees and investigative work involved in this litigation, your contribution could make the difference in the success of this unprecedented lawsuit. Thank you to the nearly 800 dedicated activists who’ve already contributed to make this lawsuit possible!